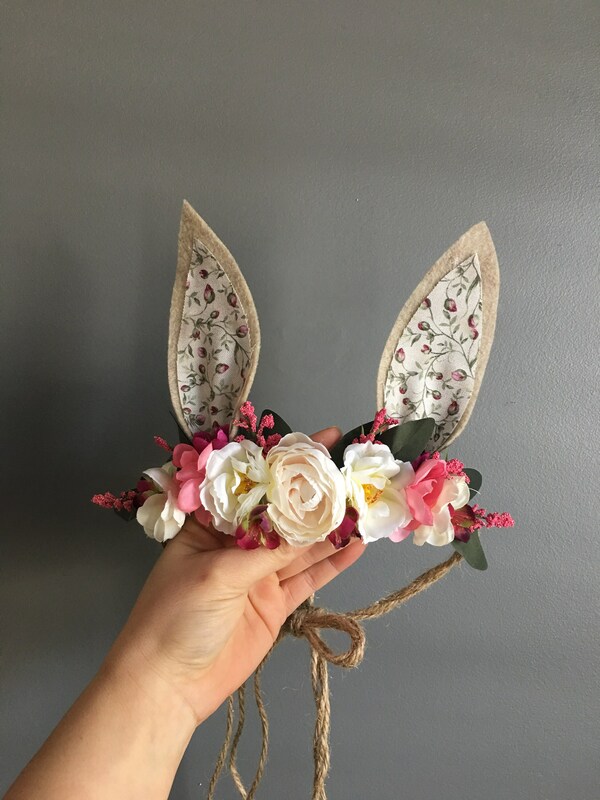 Tieback Woodland Bunny Flower Crown with Ivory and Pinks. Flowers are mounted on Natural Jute rope. 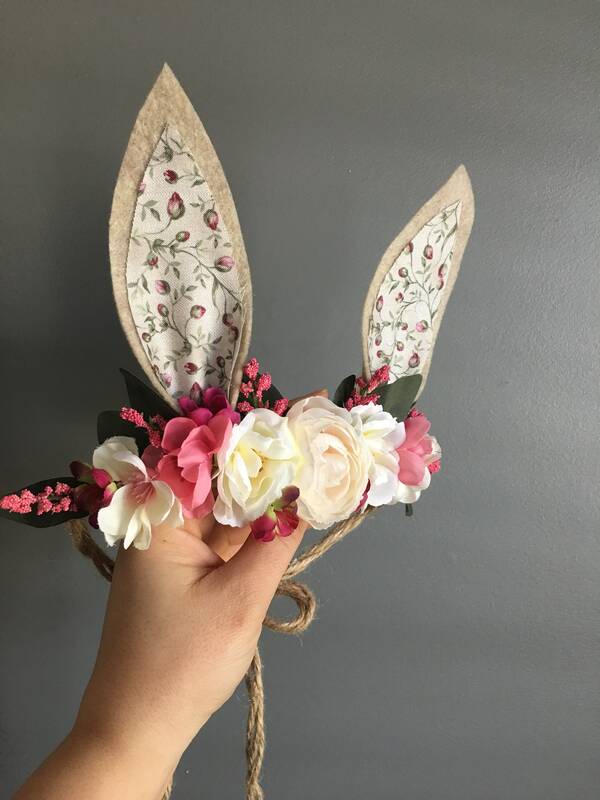 Ears are made from Felt with Ditzy Floral print on inside of ears. 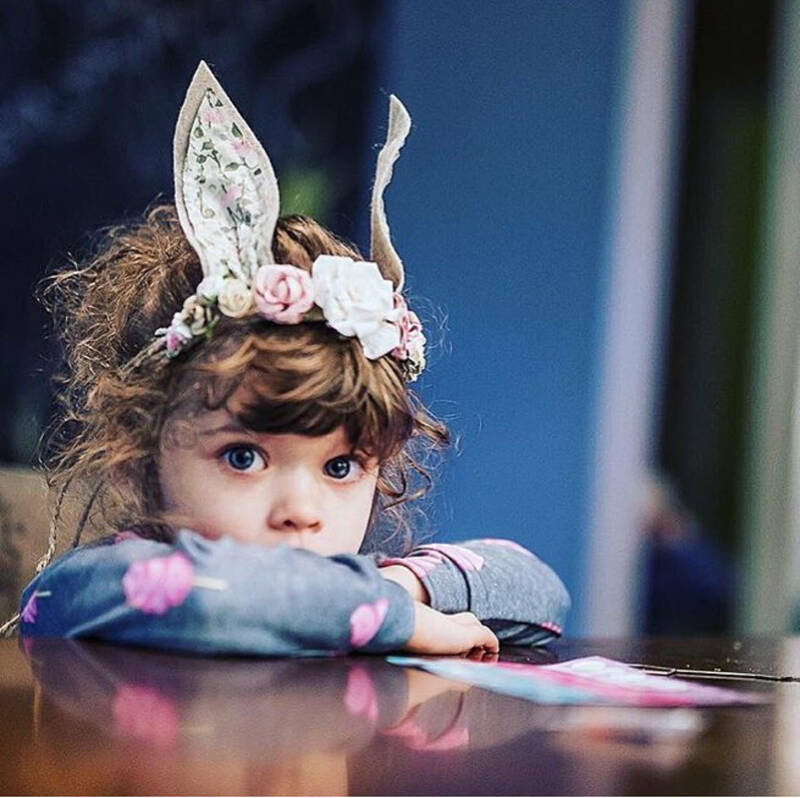 Headband is adjustable and will fit any size baby, toddler or Mama's head. Back of flowers are covered with felt for extra comfort. 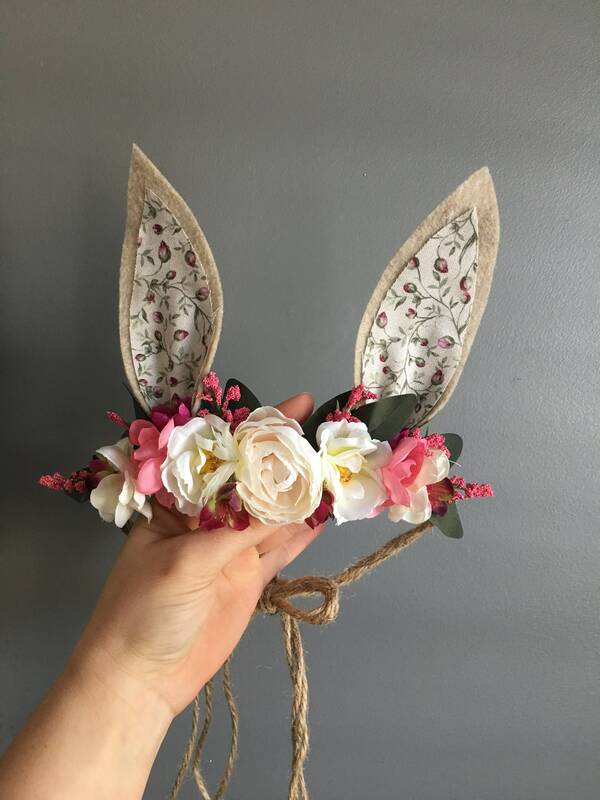 This Flower Crown is perfect for 1st birthday, Easter, make believe play, or photo shoots. This is absolutely adorable.